A shootout in Fortville, Indiana two days ago had me thinking about the additional multitasking a K9 handler must go through in a vehicle pursuit. The “routine traffic stop” had devolved into a car chase during which the suspect, James Lockhart III, abruptly brought his vehicle to a stop, exited, and quickly fired on Fortville Police K9 Ofc. Matt Fox. Bullets tore through the windshield of Ofc. Fox’s marked Dodge Charger, striking the officer in the left forearm, left hand, and forehead. Ofc. Fox’s ballistic vest stopped a round to his chest. He was shot before he could get out of his patrol car. I have vivid recollections of many high-speed pursuits where my K9 partners and I maneuvered to the front of a chase. As dog handlers, we plan for a bail out and work for the best deployment of the K9 on a fleeing suspect. Ofc. Fox had a deluge of decisions with which to contend. The most important of tasks was for him to drive his cruiser safely. At high G loads and speeds, police cars can become unstable platforms. If you’ve never driven a K9 vehicle, you would be astounded at how driver-unfriendly one can be. A K9 car or truck has very dark tinted windows to keep the K9 cool during the day, a special container for the dog in the back, the computer near the dash, a heat alarm and failsafe electronics in case the A/C goes out, K9 leads and harnesses hanging down, regular police gear up front, and the inherent visibility issues of the vehicle itself. Oh, and also a vocal backseat co-pilot. All these things distract the driver and reduce vision drastically. During a chase, the radios blare, the wind and engine howl, and there is a disorienting red, white, and blue lightshow throwing weird shadows all about. A vehicle pursuit in a K9 cruiser is like driving a NASCAR ride through a giant dance club, while wearing a football helmet and sunglasses, as your annoying date keeps barking at you for a drink. 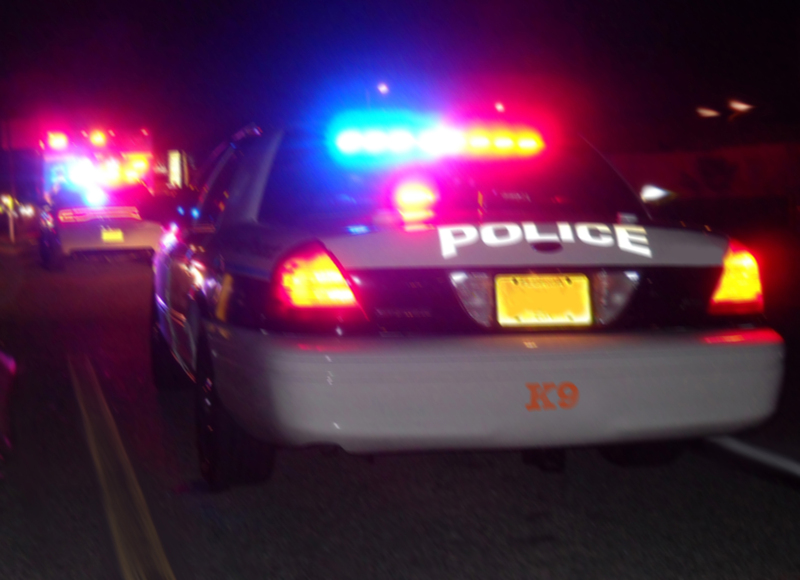 We know that the aggressive actions of a suspect vehicle dictate extremely defensive driving. An officer is responsible for anticipating the movement of the suspect’s car, accounting for innocent vehicle and foot traffic, attempting the best visual ID of the driver he or she can make, and running the radio to keep other units and dispatch updated. As if this were not enough, a K9 handler has to consider his or her deployment of the dog at the end. When his vehicle is becomes stationary, the handler’s job will be to catch the suspect. Here, things can happen fast. It may involve a verbal challenge followed by a release of the dog to apprehend a suspect on the run. The cruiser goes into park and you are in a sprint with your four-legged partner. Another scenario might be a verbal challenge resulting in a surrender. This will necessitate cover, movement, suspect control, coordination with other officers, and dog handling. Still another possibility is that the dog team will have to harness up and begin tracking to locate the bad guy. Each one of these options has a different set of active responses by man and dog. All these things must have been on Ofc. Fox’s mind when Lockhart’s Volvo suddenly came to a halt. Unfortunately, this situation forces an officer to become reactive during an information overload. Ofc. Fox is in serious but stable condition. After ramming a police car, Lockhart went on to engage officers from the cities of Indianapolis and Lawrence in a shootout at the entrance to an apartment complex. 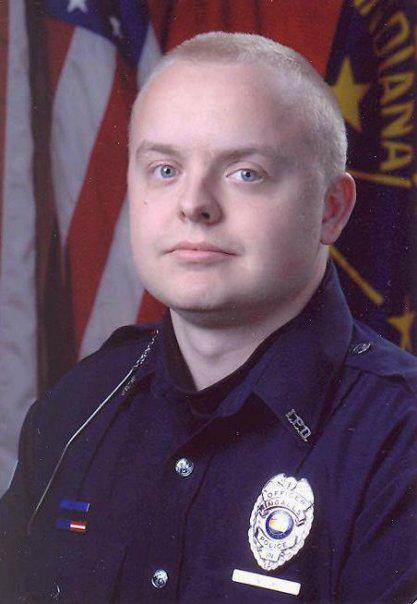 An Indianapolis officer and a Lawrence K9 dog were wounded by gunfire, but will recover. Lockhart was killed by the officers. With pursuit policies all over the nation becoming more restrictive for safety and litigation concerns, the odds are that the suspects that we are now chasing are the more dangerous ones. Just one more sobering consideration on a full plate.. This entry was posted in K9, Officer Safety and tagged Car Chase, Fleeing and Eluding, K9 Dogs, K9 Vehicle, Police K9, Vehicle Pursuits. Bookmark the permalink.